If an ecommerce storeowner were to focus on just one thing to increase sales, what should it be? While there are plenty of worthwhile features and policies, the store’s value proposition is what makes or breaks sales. Value proposition is the perceived worth of the store’s products and services to the shopper. Accurately describing the pain point(s) a product solves, or explaining how buying from you over a competitor is beneficial, are examples of value propositions. If your ecommerce site doesn’t make this message clear, you’re missing out — and so are shoppers. There is a great deal of confusion about what the value proposition of a website is. It is not the slogan and it is not professionally worded ad copy. It is, in easy-to-understand language, a simple explanation about what one actually gains from making a purchase. It is a promise of the real value of a product or service. Zagg manufactures and sells screen shields, cases, and other accessories for smartphones and tablets. 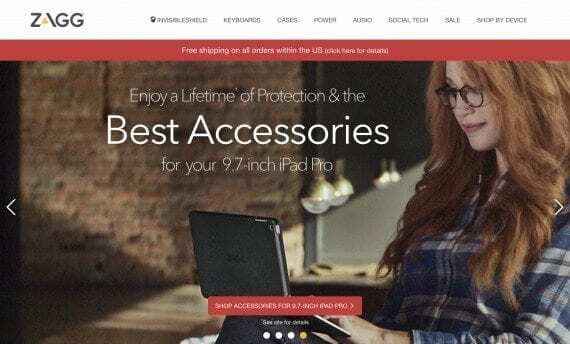 You can find iPad accessories all many websites, but Zagg conveys real value using few and simple words. Zagg’s promise is simple. 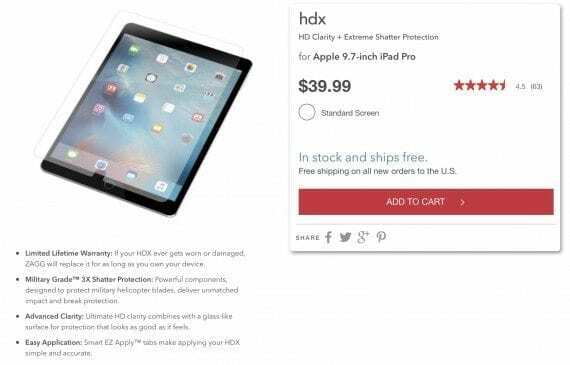 The company offers protective products for gadgets with lifetime protection. Bullet points at Zagg.com list clear values: warranty, military grade shatter protection, and clarity. While purchase decisions are typically based on several factors, including customer reviews and price, the value proposition carries the most weight. Its job is to close sales directly or, at least, urge visitors to learn more. Coupling the promise of value with key boosters, like free shipping and returns, guarantees, and additional benefits can help seal the deal. 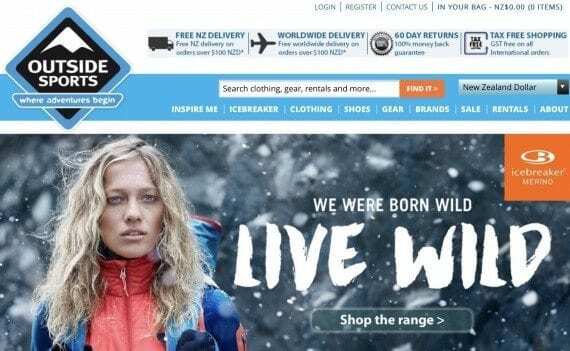 Outdoor Sports’ site is missing a true vale proposition, but it utilizes the top of its pages to display key selling boosts, like free shipping and 60-day returns. Some of the best examples of useful value propositions reside on SaaS and app sites. This makes sense because these highly competitive businesses have just a few seconds to sell their service. Unfortunately, the majority of ecommerce sites do very little to instill trust via real promises. 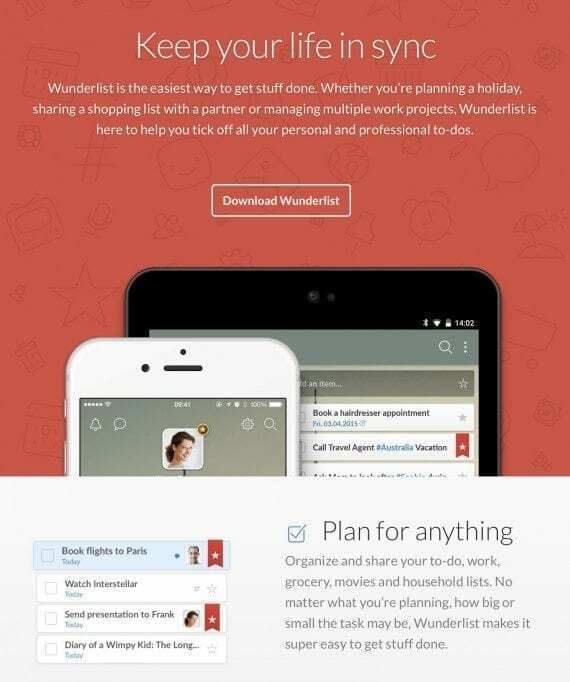 Wunderlist’s home page makes a clear promise. You’ll get more done by creating and managing to do lists that can be accessed from anywhere. 2. Study your target audience(s). Understand its pain points so you can properly convey that your products or services are solutions. 3. Research competitors. You want to determine what they do better, and what they lack. Focus more on filling the void to give people reasons to shop with you over someone else. 4. Determine the primary benefit of what you offer as a company, and what your products offer as solutions. The value proposition is short and sweet, so be sure to focus on the most important of points. When creating value proposition content, keep in mind that there is a difference between what we, as humans, desire by nature and what we learn to want. By nature, we want to enjoy life and live longer; we want to enjoy what we see, hear, touch, and taste. We want to live comfortably, and to love and be loved. And, while we may not always admit it, we want to be winners and gain social approval. These are basic needs that must be addressed. Learned desires include convenience, efficiency, economic growth, external beauty and style, and being informed. Your ultimate goal is to be specific in addressing people’s desires appropriately. Notice that LastPass, which allows you to store passwords and data securely, focuses on the promise of making life easy by remembering passwords. On its home page, it mentions security as a secondary thought. This method targets the largest audience, as most people are frustrated over having to remember tons of passwords, and secure storage is an afterthought. 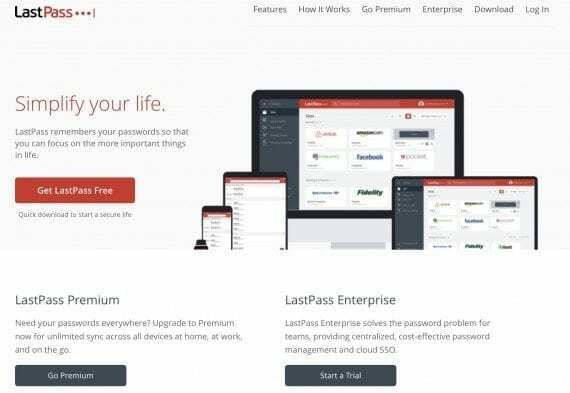 LastPass reaches its broadest audience by solving a major pain point: remembering all those passwords. TRX is all about being able to exercise anywhere. 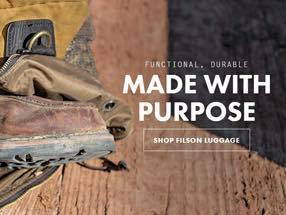 Its products are designed to be used at home, outdoors, and hotel rooms — just about anywhere. Its value proposition highlights three simple steps (unpack, set up, and work out). An easy-to-read sentence explains how you can set up a product in seconds and be done with your workout in just 30 minutes. 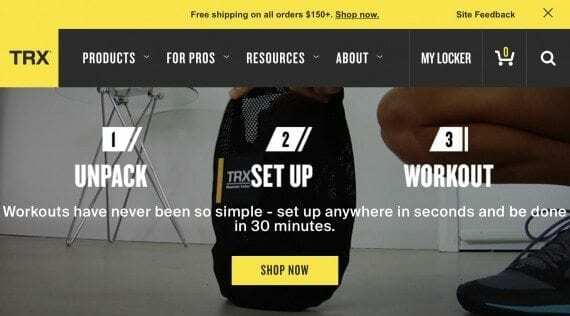 TRX’s website quickly explains how its products solve a major pain point for those wanting to work out while away from home or the gym. Any site, landing page, or product likely has real value to someone. Get to know your target audience, and the primary benefits will be clear. Redbubble’s audience wants uniquely designed apparel, decor, and more. The company conveys value by explaining how it offers uncommon designs by independent artists. This is appealing to consumers who want to wear or display original designs by smaller companies and artisans. 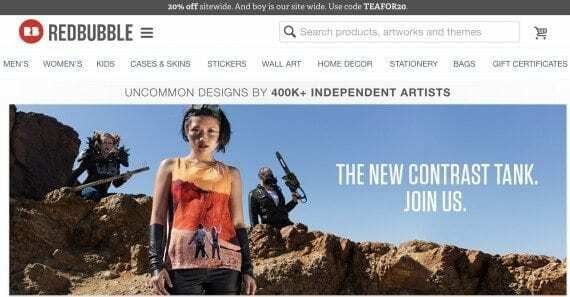 Etsy clearly explains what it sells — vintage or handmade products by independent designers and sellers — while highlighting that the site has something for everyone. Conveying the value proposition of your business or the products you sell is a vital component to decreasing bounce rates, and turning visitors into shoppers. It is especially necessary for lesser known brands and companies. Take the time to identify the primary benefits of what you sell, and then find the best way to tell the world. It’s no quick task, but the payoff can be big.